Nutritionists will agree that breakfast is arguably the most important meal of the day. It provides your body with the energy it requires to have a productive morning, initiates the digestive process after a long night’s sleep, and kick-starts your metabolism. 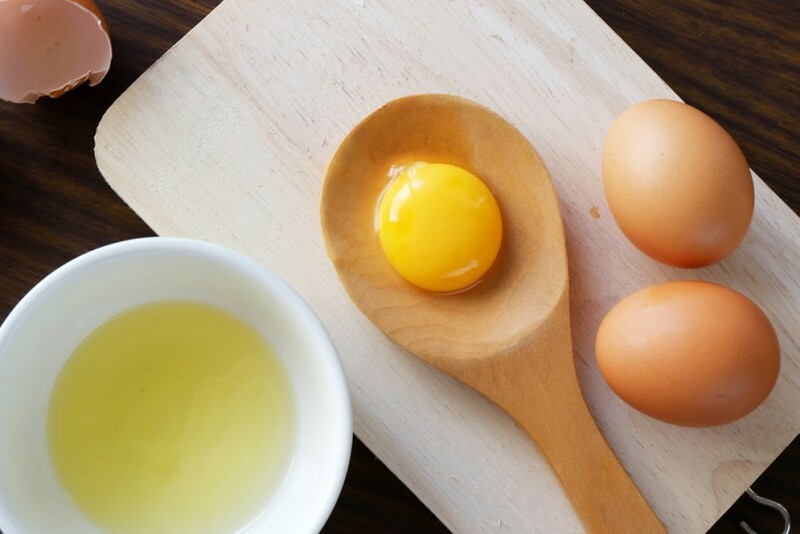 Eggs are a breakfast staple found across the dining tables of North America, providing people of all ages with the necessary protein, choline, iron, phosphorus as well as vitamins B and D they need to function at their best. The one drawback – it is easy to exhaust traditional recipes. There are, however, ways to creatively incorporate eggs into your meals, even when you’re using them every morning. Cook your eggs in an avocado for example – or in a muffin tin with slices of prosciutto, fresh basil and mozzarella cheese! 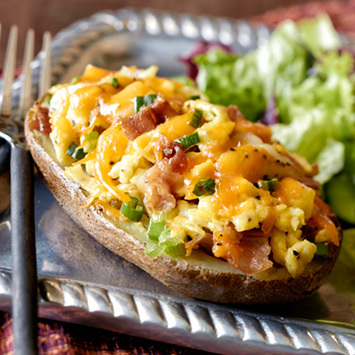 If you want to learn about Ontario Eggs and fun new ways to cook with them, check out this Egg Stuffed Tater recipe for an exciting wake-up call. It’s got all your necessary proteins, carbohydrates, and goes great with a fruit salad at breakfast or green salad at brunch. To begin, preheat your oven to 450°F (230°C). While your waiting for it to reach the desired temperature, cook bacon in large, non-stick skillet until it gets crisp. Then, remove the bacon itself, coarsely chopping, but leave approximately a tablespoon of fat to sizzle on the skillet. At this point, cut your potatoes in half lengthwise, scooping out the flesh, leaving thick walls. Then, coarsely chop the flesh and arrange the potato shells cut side up on a baking sheet, brushing the inside with olive oil. Bake until they’re lightly browned, this will take about 10-12 minutes. In the same skillet (using the bacon grease), cook the chopped potato flesh, adding salt and pepper to taste. When the mixture has browned, place it in a bowl. In a separate bowl, beat four eggs with pepper then heat two tablespoons of butter in a medium size skillet. Cook the eggs, stirring until set but still soft. Add the scramble to the bowl of browned potatoes and toss in the chopped bacon. Mix in ¼ cup of shredded cheese and two chopped green onion stems (if using). Fill the potato shells with the egg and potato mixture, sprinkling with remaining cheese to finish; bake until cheese melts and serve warm. You can even cook the bacon and potatoes the night before to make assembling quicker in the morning. Give yourself the opportunity to change things up from time to time; rather than preparing the same plate of over-easy eggs and bacon that you always do, consider that there are many different egg-based recipes available online for you to experiment with, like the one above found on getcracking.ca. If breakfasts are becoming a bore, brainstorm how you can give them a face-lift. Incorporate your favourite flavours and ingredients, or read up on what others are doing to make mornings in their kitchen a little less ordinary.